Nano Tools for Leaders® are fast, effective leadership tools that you can learn and start using in less than 15 minutes — with the potential to significantly impact your success as a leader and the engagement and productivity of the people you lead. Become aware of and heed the six warning signs that signal you might be about to make a bad decision. Leaders are by definition decision makers. Whether game-changing or mundane, choices are made every day, multiple times — and they need to be made quickly. In fact, your leadership is defined by those decisions, both in terms of their quality and timeliness. Often, you can choose and move on to your next task, but sometimes signals appear that warn you to slow down and reassess before making a decision. There are, in fact, six distinct warning signs to be aware of. These signs don’t mean you are definitely about to make a less-than-optimal decision, but they are indicators that you need to pause, consider, and then decide. It’s that pause and reflection that can help you discover that you need to rethink your approach, or that you’re on the right track. Once you familiarize yourself with these warning signs, monitor yourself (and those around you). Each sign does not necessarily mean you are headed toward a bad decision, but it can provide a needed pause to evaluate what you are doing and why. You are relying on a truism. 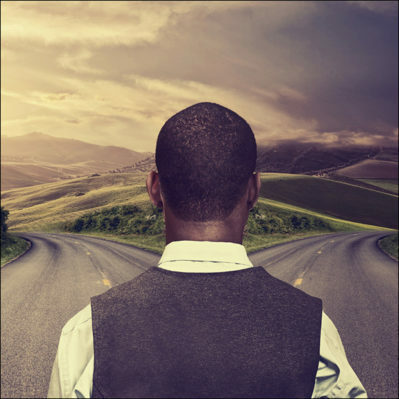 If you find yourself justifying a decision with “we’re in business to make a profit,” “we have to maximize shareholder value,” “it’s in everyone’s best interest,” or “it’s just the way business is done,” it’s time to reconsider. Are you convincing yourself something is okay because the decision is based on a larger “truth,” or can your decision stand on its own merits? Truisms are often invoked when we don’t want to think too much — they can be a sign of a knee-jerk reaction or a desire to hide behind an excuse that others will likely easily accept. You’re waiting for perfect timing or the perfect opportunity. When you don’t have all of the information you think you need (and you probably never will), or you’re waiting for the perfect time to make a decision but are aware it may never come, you may become stuck in “analysis paralysis.” In effect, it’s a decision in itself, albeit the most passive type you can make. Waiting is not in and of itself the issue; rather it’s waiting for the “perfect time” without specifying when that time will come or what it will look like. You focus on confirming evidence and ignore what disconfirms your view. In today’s world of endless access to data, it’s all too easy to fall victim to confirmation bias. Since it frequently happens without our awareness, it helps to reframe and seek disconfirming evidence to verify the validity of your direction or decision. If you want to take this a step further so you are more confident in its validity, bring in an objective decision-maker who has no stake in the decision. You are reacting to organizational, industry, or geographic standards. Especially in industries with heightening levels of competition, it’s easy to believe you have no option but to follow along with your competitors who are making decisions you never would have considered. Whether it’s paying bribes or moving manufacturing to a country or region that relies on sweatshops, justifying a decision as “following along” with new standards in your industry can be a warning sign you may be about to make a poor decision. You are pressured to consider only one group of stakeholders. This type of pressure — whether focusing on customers, shareholders, or senior executives — can feel stifling or be subtle. It can be cultural pressure, such as your organization’s reward system, or individual pressure that comes directly from someone higher in the chain of command. No matter how you end up focused on just one group, pause and think about whether it represents a wide enough area of concern, or if what’s in their best interest could cause an unfavorable outcome for another important group. When Airbus announced it would stop producing its A380, the world’s largest passenger jet, CEO Tom Enders said the decision was “at least 10 years too late.” At a loss of at least $17 billion, the fall from what the Wall Street Journal dubbed “Wonder to Blunder” can be blamed in large part on a misjudgment of the market. That’s not what happened to rival Boeing, though. In fact, Boeing conducted a joint study with Airbus in the 1990s to determine the market potential for jumbo aircraft, when demand for Boeing’s 747 was falling off. The two companies came to very different conclusions, with Airbus convinced that the super jumbo market would be far larger than what Boeing believed. Richard Aboulafia, vice president of an aerospace consulting firm, was not alone in his assessment that Airbus — which lacked a jumbo aircraft — had what he termed “fuselage envy.” According to Aboulafia, Airbus believed if it had the biggest plane, it would beat Boeing. Airbus’s conclusion is a classic case of confirmation bias — seeing only the data you expect to see. Steven Udvar-Házy, a pioneer of aircraft leasing, told the Wall Street Journal that the A380 was inspired largely by political ambition to outdo Boeing by creating the world’s largest airliner. According to Darden professor Luann Lynch’s case study The Volkswagen Emissions Scandal, pressure from CEO Martin Winterkorn contributed to the disastrous decision made by VW’s engineers to install emissions-cheating software in cars exported to the U.S. Winterkorn’s goal was to transform the company into the world’s largest automaker, targeting the neglected U.S. market to meet the goal. But tripling sales meant engineers had to come up with a miracle — fuel-efficient diesel cars that could pass increasingly strict pollution regulations. Under a tight deadline to meet the goal set by a bullying leader who insisted on success at any cost, the engineers bowed to pressure and installed software in U.S.-bound cars that would allow them to cheat on emissions testing. Winterkorn ultimately resigned, and VW continues to deal with the aftermath of the scandal. Blind Spots: Why We Fail to Do What’s Right and What to Do about It, Max Bazerman and Ann Tenbrunsel (Princeton University Press, 2011). Examines the ways we overestimate our ability to do what is right and how we act unethically without meaning to, and provides innovative individual and group tactics for improving human judgment. Moral Intelligence: Enhancing Business Performance and Leadership Success, Doug Lennick and Fred Kiel (FT Press, 2011). Offers guidance on moral leadership in both large organizations and entrepreneurial ventures, as well as a practical, step-by-step plan for measuring and strengthening every component of moral intelligence — from integrity and responsibility to compassion and forgiveness. 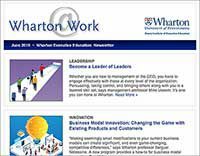 Nano Tools for Leaders® was conceived and developed by Deb Giffen, MCC, director of Custom Programs at Wharton Executive Education. 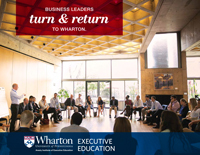 Nano Tools for Leaders® is a collaboration between joint sponsors Wharton Executive Education and Wharton’s Center for Leadership and Change Management. This collaboration is led by Professors Michael Useem and John Paul MacDuffie.